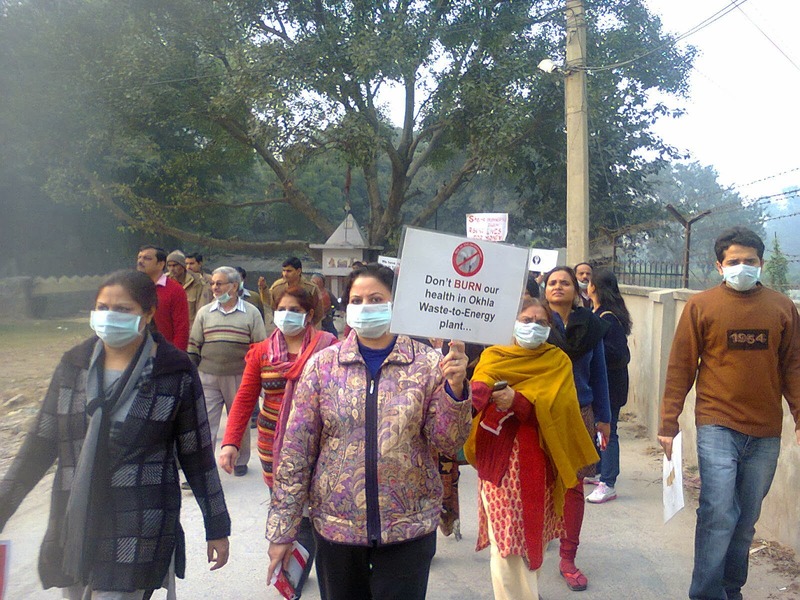 and is releasing hazardous discharge/emissions which would be injurious to the health of the residents of the colonies in the vicinity of the project site.” This has been mentioned in the verdict dated February 2, 2017.The verdict is myopic, unscientific, anti-environment and anti-public health. The verdict records that State of UP has primarily concerned itself with Okhla Birds Sanctuary which is located in the Capital Region of Delhi (NCR). It is located at a point where River Yamuna leaves the territory of Delhi and enters the State of UP. One of the most prominent features of this site is a large lake created by the construction of a barrage on the River Yamuna adjoining Okhla village towards the West and Gautam Budh Nagar towards the East. It fails to provide remedy to the birds. UP Government has declared 400 hectares of land to be protected land and further, as the Okhla Birds Sanctuary under Section 18 of the Wildlife (Protection) Act, 1972. In terms of the provisions of this Act, obligations are placed upon the persons not to destroy, exploit or remove any wild life from national parks and also, to not carry out activities which are not allowed in that area. 1. We hold that the claim of the applicants in so far as it challenges the Environmental Clearance granted to the Project Proponent by MoEF&CC vide its order dated 21st April, 2007, is barred by time. Thus, for that reason and even for additional reasons stated in the judgment, we dismiss this claim of the applicant. 2. The objection of the respondent that even the other reliefs claimed by the applicants are barred by limitation under the provisions of the NGT Act, is untenable and is therefore rejected. These prayers of the applicant have been dealt with on merits and answered by the Tribunal in this judgment. 3. For the pollution resulting from deficient functioning/operation of ‘Waste to Energy Plant’ and its Stack emissions being in excess of prescribed parameters up to the period of 18th December 2014, we hold that the Project Proponent is liable to pay Environmental Compensation of Rs. 25 Lakhs in terms of Section 15 & 17 of the NGT Act, which shall be payable to the CPCB and DPCC in equal shares. The said amount would be utilized for prevention and control of air pollution in that area, subject, to the orders of the Tribunal. The ‘Waste to Energy Plant’ would be permitted to operate till further orders of the Tribunal and/or CPCB/DPCC, as the case may be. The plant shall operate to its optimum capacity and would not cause any environmental pollution. In other words, its emissions should be strictly compliant with the prescribed standards imposed by CPCB/DPCC in the Consent to Operate/Joint Inspection Reports, whichever is more stringent. The plant will be permitted to operate subject to the stringent standards and regular inspections and monitoring by the Joint Inspection Team constituted by the Tribunal vide its order dated 13th March, 2013. Inspection Team and be submitted to this Tribunal for appropriate directions. The Joint Inspection Team shall take Stack as well as Ambient Air Quality samples and analyze the same in two different laboratories i.e., CPCB and DPCC laboratories. The Project Proponent should construct an automatic segregation plant, operative within one week from the date of pronouncement of judgment, if not, made operative by 31st January, 2017. The inspecting team shall carry out detailed inspection and record its findings in relation to proper segregation of waste strictly in accordance with the Solid Waste Management Rules of 2016, initially for a period of one year and if the plant is found to be complying in all respects, then the Joint Inspection Team is to conduct inspections once in three months. 5. In the event, the plant is found to be deficient in its operations or violates the prescribed standards of emissions, it would be liable to pay Environmental Compensation of Rs. 5 Lakhs per incident, in addition to such other order or directions that may be passed by the regulatory authorities and/or this Tribunal including closure of the plant. One technical expert representing the applicant would be entitled to participate both in the surprise as well as inspections upon notice by the Joint Inspection Team. The joint inspection team shall make its recommendations to the Tribunal identifying the deficiencies/violations of parameters and their environmental impact. Environmental compensation of Rs. 5 Lakh would be payable subject to the orders of the Tribunal. 6. The Joint Inspection Team shall collect samples from the locations at regular intervals in all directions of the plant and would analyse the same. fly ash bricks in construction and allied activities, quality, quantity and percentage of such use. 8. The CPCB, DPCC & MoEF&CC shall direct the NCT Delhi as well as all the concerned local authorities to provide more landfill sites in Delhi and such sanitary landfill sites should be maintained and utilized strictly in accordance with the Solid Waste Management Rules of 2016. Energy Plant’ at appropriate sites and strictly in accordance with the Rules of 2016. This direction is necessitated for the reason that nearly 8300 MT of MSW will still be dumped at different sites as is being done presently. 10. Existing landfill sites should be improved, their heights should immediately be reduced and bio-stabilization of all the landfill sites should be expedited. The re-usable material particularly inert and plastic waste should be recovered and utilized for construction of roads (National Highways) and embankments in NCT of Delhi or any other area. standards and day-to-day functioning of the plant. 12. DPCC shall issue appropriate directions to all the local authorities to ensure segregation of the MSW at source. The C&D waste collected at dhallos or at source should strictly be transported to C&D Plant at Shastri Park and Burari. 13. The Project Proponent is hereby directed to improve the green belt by planting trees all around the site. It should also improve the green area which is part of the project site itself. 61. The Original Application No. 22 (THC) of 2013 is disposed of in terms of the order and directions contained in paragraph no. 60 of this judgment. Consequently, M.A. No. 19 of 2014 does not survive for consideration and is accordingly disposed of. After recording such incompetence of DPCC and Delhi Government, NGT recommends similar plants for besides Waste to Energy Plants at Bawana (Narela) and Ghazipur. It directed the Narela and Ghazipur Waste to Energy plant to operate to their optimum capacity in accordance with law. NGT verdict deprecates the concept of ‘Not in my backyard’ which has to be subservient to processing of waste in accordance with the Rules in the public interest but fails to accord priority to public health despite recording the violations of norms by the Jindal's plant. ToxicsWatch Alliance (TWA) which has been involved in the matter from the very outset will release a detailed analysis of the 142 page long verdict and the affidavits of government of NCT of Delhi, DPCC, DDA, New Delhi Municipal Corporation and South Delhi Municipal Corporation (SDMC) besides MoEFCC and UP in due course. In this regard the role of SDMC, Government of UP and UNFCCC’s CDMEB will be significant in the days to come. because Court has passed relevant orders in May 2005 and May 2007. The last order of the Supreme Court is the law of the land not its older orders. NGT turns a blind eye to violation of Supreme Court's orders despite referring to it while citing Delhi High Court's orders. It ignores scientific studies regarding the composition of the waste and its chemical characteristics create a compelling logic against waste incineration either through RDF or any other incineration technology. Indian municipal waste has 25.2 % moisture content and 23.4 % organic matter and 40.03 % ash and inert matter. In such a situation, the proposals for waste incinerators appear to be subsidy cornering initiatives which got stayed by the Supreme Court of India. Court’s order "permit (s) Ministry of Non-conventional Energy Sources (MNES) to go ahead for the time being with 5 pilot projects chosen by them" but it is noteworthy that this refers specifically to bio-methanation technology. MNES has been renamed as MNRE (Union Ministry of new and renewable energy). It ends up blaming the victims and accepting the construction and operation of the questionable plant as fait accompli.